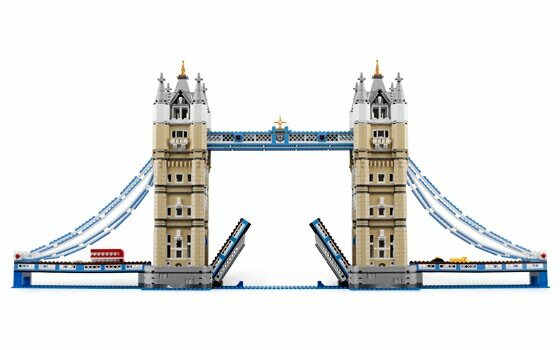 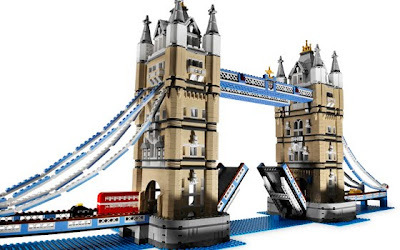 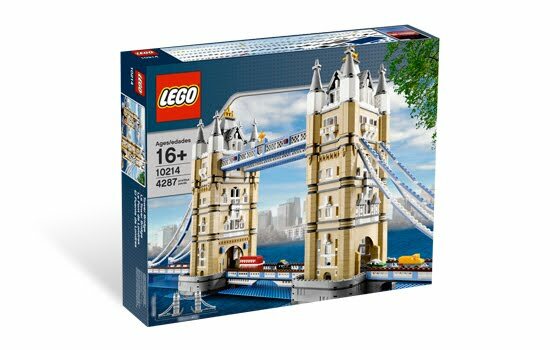 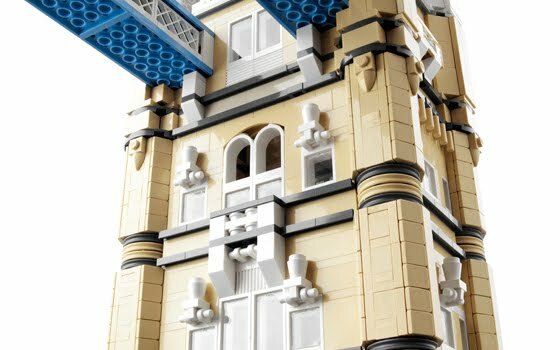 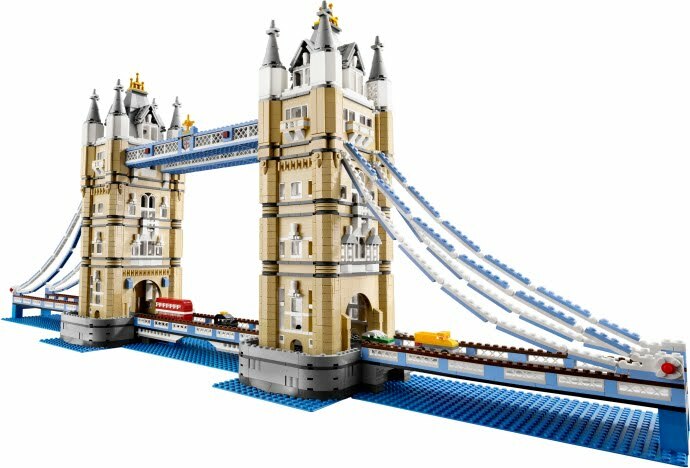 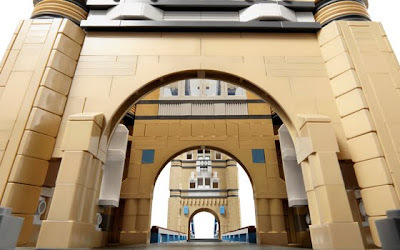 come with a tower bridge building replica. 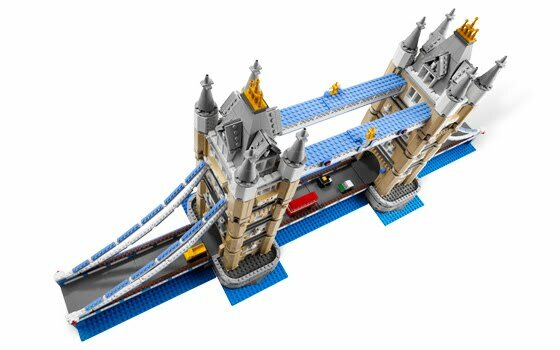 can parted into sections for easy transport and storage. the building has details like iconic paired towers, a raisable drawbrigde, arches and windows. 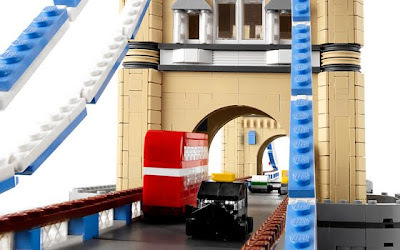 also included a black london taxi, a yellow truck, green automobile and a red double decker bus. must have for tower bridge and architecture lovers.